The first step is simple and is a fundamental starting point. To begin, gather invoices on products you are paying for. Understand all the line items and, if needed, request an itemized invoice from the vendor. After the list is compiled, ask the staff to verify each and every product is currently in use. Confirm every product and its features are known to staff and that they are being used. For example, during a recent optimization project, leadership assumed the staff used electronic faxing. When I asked the staff about it, the majority did not know they had that capability. The technology was in place and the monthly maintenance check was being written, but staff was unaware so the technology collected dust. Another instance of unknown technology that surfaced in recent evaluations is one client did not realize they could send provider-to-provider secure messages via direct exchange. They were already set up to email other providers as a part of their secure messaging product that was implemented with their patient portal. The office knew about secure messaging, but they only thought they could use it to communicate to patients only. They were pleased to learn they can communicate with other care providers via email. Following a brief learning session, the staff put it to use immediately to enhance their referral coordination process. Remember to account for add-on products. Sometimes ancillary software remains active because IT staff is unaware if it is actually used and they do not want to pull the plug. With time, these programs add up, cause clutter, and waste time spent on needless updates. This peripheral neglect will cost the company for paying for monthly service agreements and maintenance fees. During your audit, identify technology that is no longer relevant due to updated workflows. While you are at it, identify redundant or overlapping product features across different products. As you look through your master list, keep in mind IT projects are typically kicked off with stellar momentum but projects can lose steam and other competing projects force smaller projects to be put on hold. Or, if the project does survive, it is rolled out on a tight timeline with minimal functionality. Good intentions are in place, but without optimization, you may be paying for unused features. If this scenario sounds familiar and you find yourself with projects on hold, take a look at the service agreements and maintenance line items on your vendor invoices. Ask if those charges can be placed on hold until you are ready to revive the project. Hey, it is free to ask, right? Using your audit list, review the services provided by the vendor and evaluate cost-saving opportunities to bundle pricing. 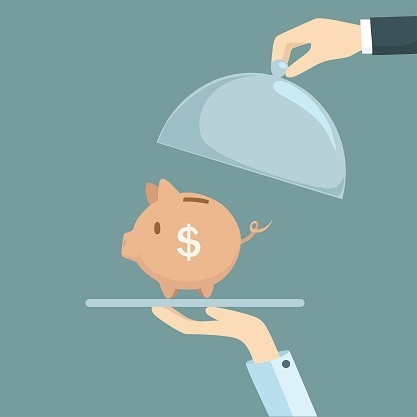 You may need to switch or merge vendors to realize savings. For example, claims, remittance, and eligibility are functionally standardized electronic files. The deliverable is the same regardless of who delivers the files to your system. You may be receiving these files from one or more clearinghouse. It may pay off to streamline these services through one single clearinghouse. Merging could also reduce costs for monthly support and maintenance fees. Ask your vendor if it is possible to combine service lines and request a bundled price. If you are hesitant to switch, see if your current vendor would do a price match if you found a lower rate. Something else to ask for are high volume discounts. Run reports on volume and determine if it make cents to ask for a discounted high volume rate. Cents…see what I did there? Finally, take a second look at contract structures. Most vendors offer an enterprise versus per provider license for solutions. If you are a growing practice, think about asking to switch to an enterprise structure for a flat fee rather than paying per provider. If you have per provider licensing, be sure to maintain an active license count as providers join or leave your practice. Include this upkeep in a monthly housekeeping audit to ensure those licenses are being transferred or inactivated. When initially purchasing software, account for one-time fees versus monthly ongoing costs. Vendors will often want to commit to a pre-determined contract length. Try to negotiate shorter terms if you are uncertain of the product use or see if they will let you pilot the solution before committing fully. While recently onsite for a PM/EHR optimization, a CFO asked me to look at something on a vendor monthly statement. While not related to his original question, I glanced over the invoice and noticed a line item related to electronic remittance. I knew, as a result of the system and workflow evaluation I just finished, that they did not use or need electronic remittance. Yet, they were paying $20 per provider per month for 14 providers. Over a course of seven years they dished out $23K for a product that they did not use. With staff turnover, changes in technology, and the rush for adoption to meet program participation requirements, it is not all that unbelievable that these charges were missed. To avoid any devastating losses, an annual or quarterly evaluation will prove to pay off in the long run. Those savings could be re-invested into your organization or simply paid to me in chocolate.